We found some history of the Coopers Creek Baptist Church that was written in 1999 to celebrate the 152nd anniversary of the church, including some direct quotes from the old church minutes from the Tarver Library at Mercer University. 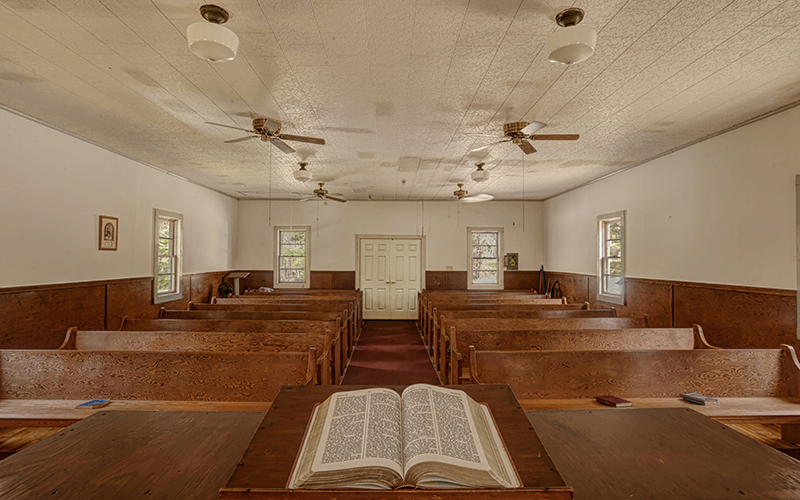 It tells us the church was actually constituted in 1847 as Coopers Creek Meeting House and was a member of the Chestatee Baptist Association. Original minutes of the church that have survived give us a chance to go back in time and form a closer bond with these early pioneers. They also reveal the fact that these were ordinary mountain people without a high level of education. Spelling was certainly not a strong suit. Original minutes state that “our Meeting House should be nown and distinguiest by the name of Coopers Creeke Meeting House”. The minutes also state that, in 1847, “Isaac Burlison and Harmon Brown were appointed as trustees for the purpose of recording a deede to a bit of land for Cooper Creak Church yard and buring ground”. By 1903 the spelling had not improved much. A motion was passed to “to petition the office of the judge to grant a qater of a mile around the church for the protection of the church and scoole”. 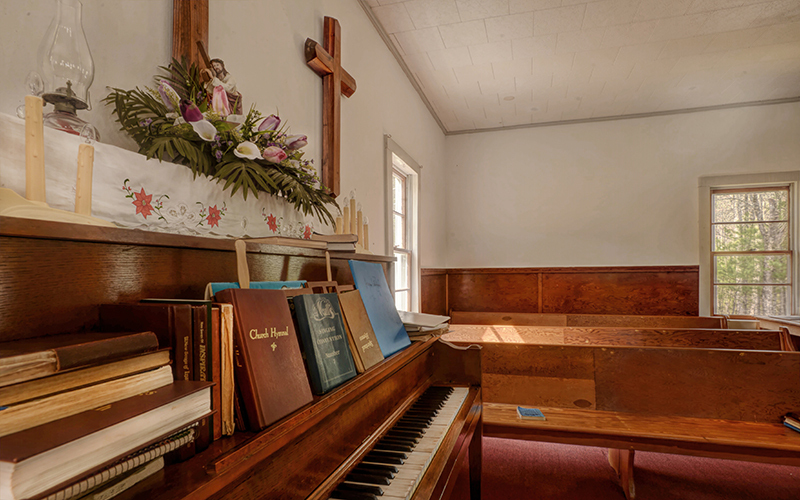 In addition to the school, the first Sunday School was organized in 1909. 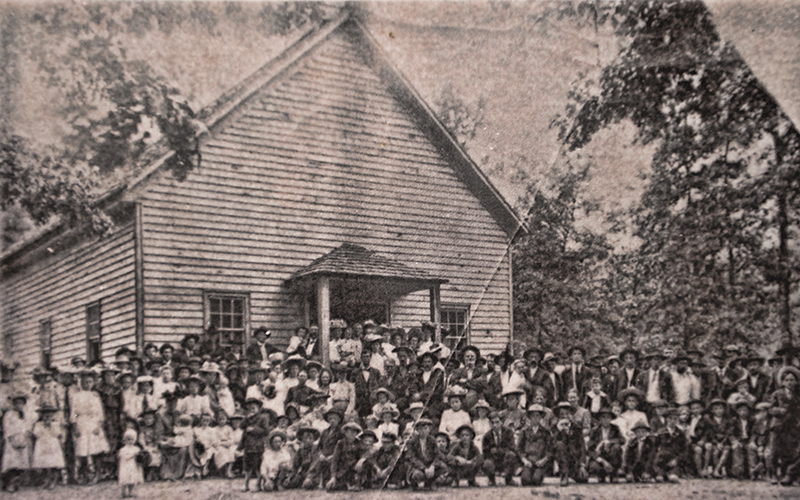 The old photograph below shows a vibrant congregation standing in front of the church in 1910. 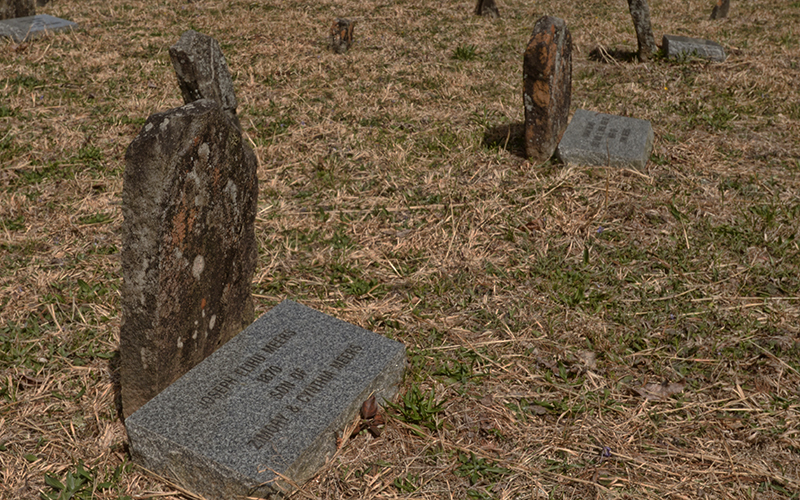 The cemetery at Cooper’s Creek is located on a hill above the church and has several Confederate veterans among its interments. But the thing that makes the cemetery image so haunting is the number of small fieldstone grave markers on the hill. Many of them have now been cross referenced to the actual interments, which is highly unusual. Fieldstone markers are common all across Georgia and they indicate the lack of wealth and resources at that place and that time. They almost always are just there as a reminder of the difficult lives many of these early settlers had. To be able to tie the stones to actual interments is a real treat and we should all be grateful for the effort. Here we see the congregation of Coopers Creek Baptist. We love it when we can unearth photos such as these to add to the documentation of a rural church. The photo is circa 1910. The size of the total congregation ( we count at least 150 men, women and children in the photo) we estimate at up to 200, a very large number for the time and place in North Georgia’s mountain country. 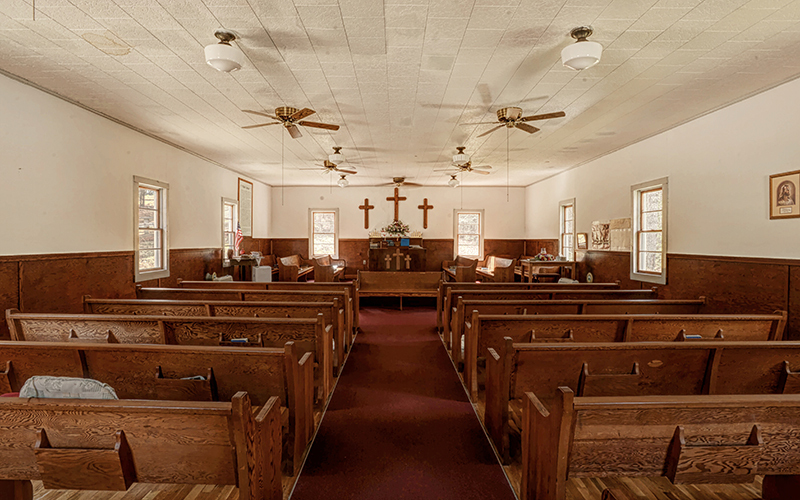 The fact that the church attracted so many people over 100 years ago reflects the continuing importance of the rural churches to their communities. Note that the church looks today very much as it did when the photo was taken with the exception of the large, electrified star that now appears over the front porch. In this view from the entry-way, we see that the interior has been modernized. But, the original “rectangular box: sanctuary architecture still remains intact. More than likely, beneath the tiled ceiling, sheet rocked walls and wainscot we would find the traditional horizontal wide board walls and slender vertical ceiling boards, all of heart pine, that were original at Coopers Creek. In this close up of the chancel and pulpit area, we get a more comprehensive view of the restoration changes made in the 20th century. Aside from walls and ceilings, the original wood framed, multi-paned, sashed windows have been replaced by modern frames and single paned windows. 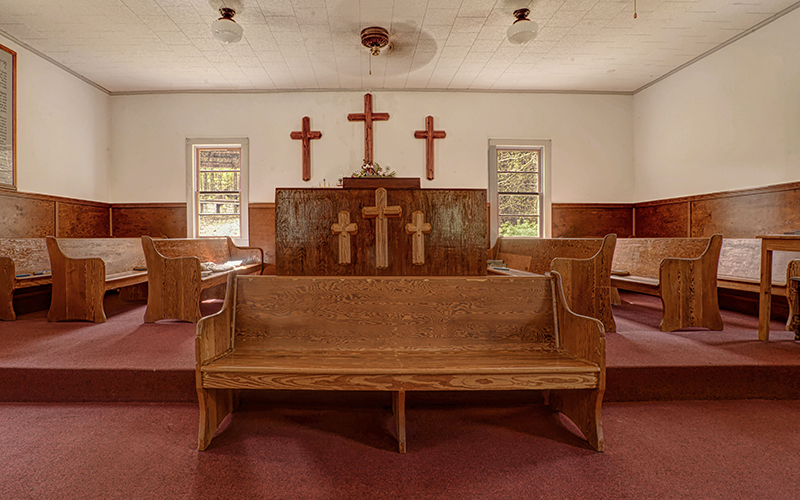 Of course, those changes came about as creature comforts and frugal maintenance practices were called for to insure the congregation continued to attend services. Still, the “authentic” atmosphere remains and is supported by the very simple and unostentatious interior… very few decorative items and architectural embellishment. Here we see the musical heart of this old church. Baptists always embraced congregational hymn singing and still do. This old, well used piano ( and others before it) has accompanied countless services, weddings, funerals and other traditional rites. In the 21st Century, it is comforting to see the old ways remain relevant. This view from the pulpit reveals that Coopers Creek sanctuary is not large. But, it is inviting and has capably accommodated and maintained congregations as large as we saw gathered outside the church in the earlier, 20th century photo. The fact that it remains in service today is a tribute to the community and the stewardship of its congregants. 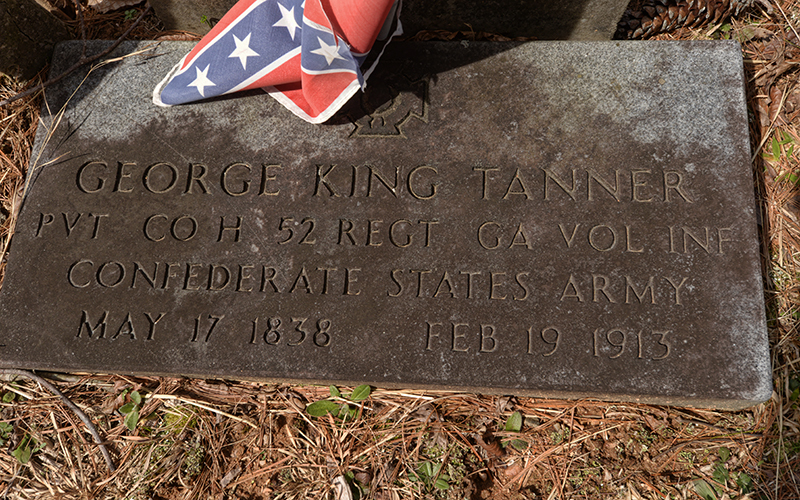 Here lies George King Tanner (1838 – 1913) who was born in Lumpkin County. It looks like a standard grave marker that notes he was a Confederate veteran. It is only when you look beneath the surface that the real “Tale From the Crypt” emerges. George married Letty Pane in 1858 and was married for 53 years when he died in 1913. The 1870 census shows him living with Letty in Rock Creek with six kids. His Civil War service was certainly unusual. He enlisted with the 52nd Ga at Cumberland Gap in July of 1862. The 52nd participated in several battles on the western front and George was captured at Baker’s Creek on May 16, 1863. He was subsequently taken from Vicksburg, to Indianapolis, to Delaware and then to Virginia, where he was paroled in July of 1864. While at home, he subsequently re-enlisted in Ledford’s Militia regiment – finally surrendering at Kingston, Georgia on May 12, 1865. Pension records of 1907 show that he was old, infirm and without resources. His property consisted of “2 plug horses, 1 cow, 4 sheep and some household furniture – all valued at $142”. There are 25 interments in the cemetery of the Meers family. 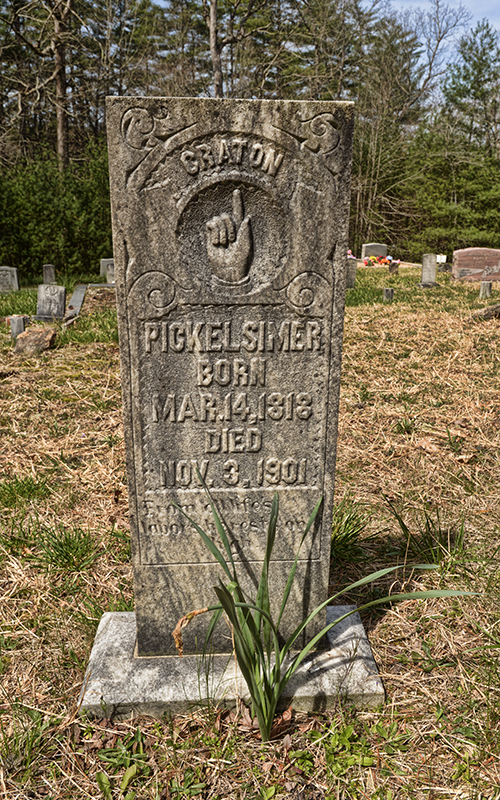 According to Findagrave, the oldest is 1858 and the most recent is 2016, a family span of over 150 years. You will notice that the upright fieldstones have a recent granite marker that tells you who is actually buried there. This is very unusual in that, while the fieldstone markers are common, it is rare that this information of who is interred there is available. This was obviously a labor of love for congregants of Coopers Creek who take their history seriously. Coopers Creek is located in the Chattahoochee National forest. It is beautiful mountain country but farming in the this part of Georgia in the 19th century was very difficult. These tough mountaineers rarely had any money or resources above the bare subsistence level. Thanks for all the effort to preserve this unique part of Georgia history. 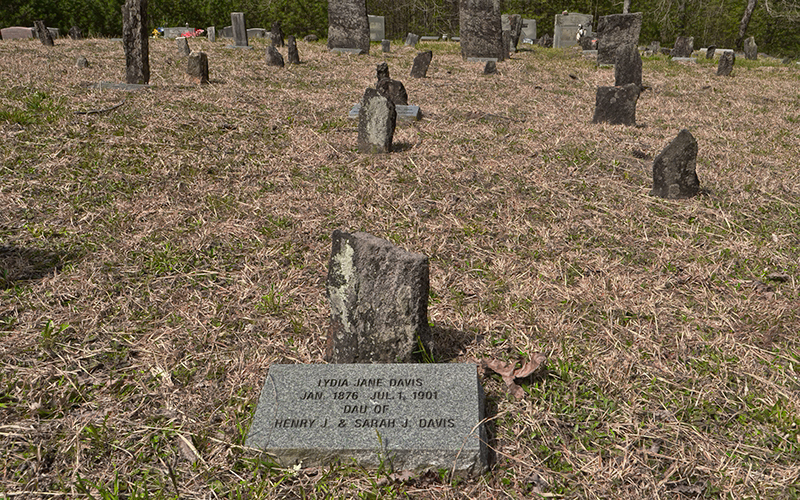 The fieldstone marker in the foreground is that of Lydia Jane Davis (1876 – 1901) who died in the prime of life at age 25, an altogether common occurrence in this time and place. She had two sisters - one died at the age of 32 and the other at the age of 50. There are 22 Davis family interments in the cemetery. As we mentioned in the previous photo, having this kind of information that correlates to un-engraved fieldstones is very unusual. The effort that went into documenting these old interments is to be applauded, and speaks to the love of history of the Coopers Creek congregants. Is there any way to obtain a list of members of this church? I had Davis, Seabolt, Fields, Sosebee and Jarrard ancestors who lived in the area. It is an active church so you should be able to contact someone who can help you. Good luck.